The Reggio-Inspired Network of Minnesota has a rich history. In February 1998, educators from around the state first met at the invitation of Barb Murphy at the University of Minnesota Lab School to share their interest in the Reggio Emilia philosophy and the inspiration it generated in their practice. Seventy-five people attended that meeting. Participants continued to meet regularly, for many years hosted by Beth MacDonald and the staff at MacDonald Montessori School, who graciously opened their program and professional development experiences, sharing their journey with the larger community. Participation grew and, what became known as the “Minnesota Reggio Network” expanded as gatherings branched out to include a wider array of participants, educational programs and community organizations. 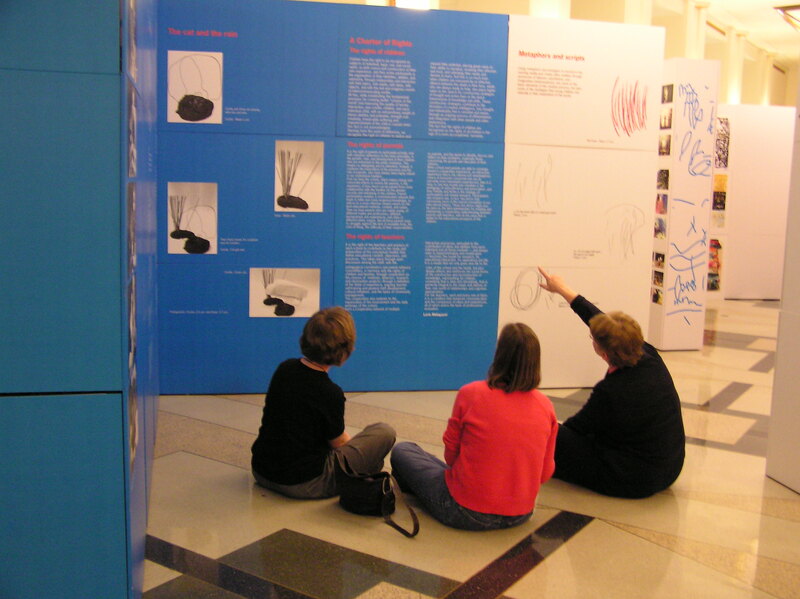 During 2004, The Minnesota Reggio Network (which at this point had been incorporated,) in collaboration with the Minnesota Children’s Museum, and supported by funding from the National Endowment for the Arts, hosted “The Hundred Languages of Children” exhibit from Reggio Emilia, Italy at St. Paul City Hall. During the eight-month run of the Exhibit, Network participants collaborated to create “Seeing Children,” a collection of projects from about 25 Minnesota schools. It became a companion exhibit at the Minnesota Children’s Museum and the North American Reggio Emilia Alliance (NAREA) Summer Conference, held it St. Paul. In 2008/2009 the Network underwent a transformation and expansion and is now known as the “Reggio-Inspired Network of Minnesota” (a 501c3 organization.) With a renewed vision, mission and goals, the Network continues to identify and connect with all of those who are interested in Reggio-inspired work.